Advanced Hearing Protection For Toddlers & Kids Up To Age 10. Hear inside and outside sounds clearly. Enjoy your music, take calls and amplify outside sounds around you up to 9X. Advanced hearing protection for children birth to 10 years. Protection plus innovative one of a kind features. We’re making better hearing accessible to everyone. Our Personal Sound Amplification Products(PSAPs) provide a hearing boost and are incredibly affordable. Experience our revolutionary amped technology. test drive here, adjusting outside sound from 0 to 9x amplification. Increase the ambient volume to enjoy city sounds and nature. Easily stream music, calls and other media. Turn up the outside volume to hear trains and other traffic. "My mother-in-law surprised my three-year-old son with a new pair of Lucid Audio HearMuffs for his first Dallas Cowboys game. We were highly impressed with them from the get-go. 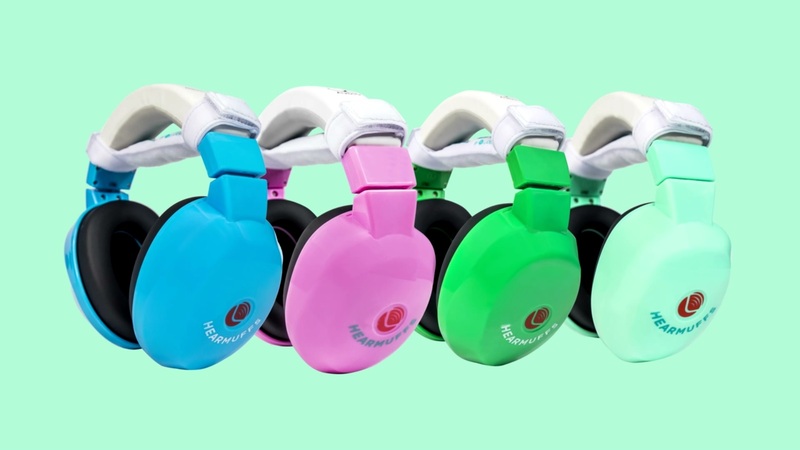 First off, not only are the noise cancelling headphones for kids adjustable, but they also came with a GrowBand to accommodate different sized heads." "Now my son Nathan can go anywhere I go. Hockey games, NASCAR, even riding the mower. He feels comfortable and I'm keeping him safe from sounds. HearMuffs keep my best buddie with me for all the fun." "Using HearMuffs allows parents and caregivers to keep baby comfortable while going about their lives. They have helped my son, who is very sensitive to sounds, venture out into public without the fear of sounds looming." The HearBand Sport with LED Safety Lights & Reflector helps you stay safe and seen. AND our revolutionary AMPED technology amplifies outside sounds up to 9X. Listen to music, take calls, and hear sounds around you. Our revolutionary AMPED technology, amplifies outside sound up to 9x. Advanced Hearing protection for infants and toddlers, push-to-soothe technology and four comforting sounds: Lullaby, Babbling Creek, White Noise & Heartbeat. What do you need hear? Stay updated to see new videos. Give this experience to a loved one. Tell a friend what you love about them.